Do you want to release your title as an audiobook? 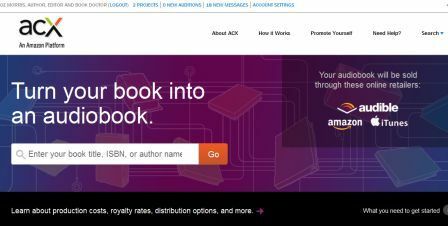 If you live in the US, you can go through ACX, the DIY arm of Audible, but ACX wasn’t open to UK authors – until now. For the past month, I’ve had both my novels in production as a test pilot, and now I can tell you what I’ve learned so far about offering a title, choosing a narrator and working with them. Good question. 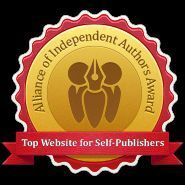 ACX is a network where narrators and producers can meet authors who want their work released as audiobooks. Once you’ve hooked up, you can then use the site as an interface to create the book, keep track of contracts and monitor sales. In short, it’s genius. You know how tedious it is every time you set up an identity on a new site? All that form-filling and profile-making? ACX requires minimal faff. Once you tell them who you are and what book you’d like to offer, it pulls the detail off Amazon. opt to narrate and produce the audiobook yourself, but to do this you must have professional-quality equipment and experience of sound editing, or the book won’t pass the quality check. pluck a willing narrator/producer out of the ether – this is what I did. Making an audiobook isn’t cheap. An average novel is about 10 hours of narration (roughly 90,000 words) and is likely to cost $200 or more per finished hour. All the ins and outs of this are much better explained on the ACX site, so check them out there. When I talked to the ACX crew, they told me many writers put up the first few pages as the audition piece. This can be a mistake, because the beginning may not be typical of the book’s action. I looked for a challenging scene with dramatic dialogue as well as the narrator’s internal thoughts, which I felt would test the reader’s approach more usefully. I added notes about the context of the scene and the style of the book – and waited for auditions. And lo, they rolled in. (This was in itself a wonderful surprise.) Once I got over the novelty, I realised I needed to tweak my presentation. Accent – & mistake #1 – ACX lets you specify the age, style and accent of the reader. Age and style were easy enough to choose, but accent caused me more trouble. I assumed this had to be British as, obviously, I’m a Brit, my characters are Brits and I write with British language. However, ACX is predominantly US, so that vastly reduced the available talent pool. Some of the voice actors did very credible Brit accents. Some couldn’t pull it off and sounded Chinese or German. Others ignored my stipulation – quite wisely as it turned out they sounded just fine in their natural accents. So I quickly realised accent was a detail that didn’t matter, and edited my directions. Indeed the narrator I chose is American. Another reason to choose an accent other than your own is if the majority of your readers are in another territory. I sell a lot in the US, so an American accent might make them feel more at home. Accent isn’t the only deciding factor, though. Suitability for the material – While the narrator might be able to do a good job with the audition scene, you have to be sure they’ll interpret the whole of your book in the right way. A Regency romance needs a completely different approach from literary fiction, and I can imagine it’s a nightmare to realise your narrator simply doesn’t ‘get’ your book. 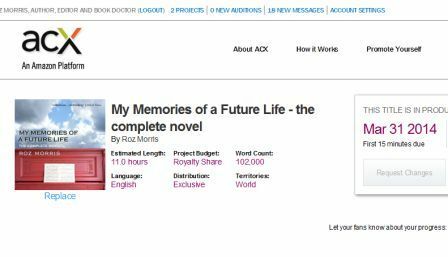 If you have a contender, poke around in their ACX profile and follow up any websites where they demonstrate other books they’ve narrated. Also, ask them what they like to read. Acting versus reading & mistake #2 – some books benefit from a reader who will do a lot of gutsy acting, including distinct voices for the main characters. But for most fiction, that’s too much. They’re journeys in prose and need a more intimate, subtle treatment, which might even sound flat to some ears. Listeners know they’re being read to. They don’t need rollicking declamation – or music or sound effects. And a good reader can make it clear who’s talking without bursting into different voices, so you actually need less ‘acting’ than you might think. I made another mistake here in my original guidance notes for the audition. I didn’t ask for different character voices, but I did explain the book had sections in a different tone – the female narrator, and the future incarnation who was a male version of her. Thankfully, before it went live a friend pointed out that this might cause a lot of horrible baritone overacting, and that I should simply let the text do the work. 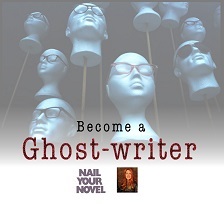 Ultimately, you choose a narrator on a hunch that they fit your work. One author I spoke to at LBF said he knew when he’d found his because the guy sounded like the ideal voice he’d have chosen – but better. That’s how I found mine too – although it was by a more roundabout route. And here is Sandy Spangler – my narrator! I had a shortlist of possible voices, including seasoned Broadway actors, but there was one question I couldn’t answer. When I looked into their backgrounds, none of them had narrated a novel like mine, and I was worried they wouldn’t get it. Then I remembered a friend who I’d heard do narration work – on a computer game, of all things. At the time, I noticed how she had an insightful, feisty quality that reminded me of Laurie Anderson. Even better, I knew her reading tastes made her a good fit. I contacted her. She didn’t know about ACX, but she was keen to give it a go, registered and sent me an audition. Her reading was just right – inhabiting the material with well-judged expression and I knew the book would suit her personality. If you’ve been a subscriber here for a while you might recognise her from some of the goofy photos I’ve used on my posts. But her voice absolutely suits my kind of fiction, and if yours is like mine you might like her too (here’s her ACX page). Pronunciation guide – All books have peculiar words and names and you need to warn your narrator of these. We set up an editable file on Google docs. As I said, Sandy’s American and I’m a Brit, so we had to decide whether she should pronounce words like ‘leisure’ and ‘z’ in the UK or US version. I decided we could fiddle endlessly with this so I asked her to do whatever was natural. If we tried to anglicise everything there would be certain words we’d miss, or the stresses would still be American. And I didn’t want to get in the way of her doing the most instinctive job. So she says tomayto while I say tomahto. No big deal. Pace – one of the first tasks is to approve the first 15 minutes of the audiobook. Sandy was afraid I might think she was reading too slow, but I felt the text suited a measured pace. ACX actually advise that you err on the side of slow because listeners can artificially speed the reading up if they want. Pauses – you need pauses between paragraphs, scene switches, and maybe in other sections too. We spent an email exchange identifying exactly the right kind of pause for each. Listen to finished chapters – You need to set aside time to listen to chapters as your narrator uploads them to ACX. We have a schedule and a chart where we tick off chapters I’ve approved or asked for modifications (usually these are pronunciations or stresses). ACX gives you a time code so you can pinpoint exactly where an edit is needed. Next time, I’ll delve into the narrator’s side, including what exactly is involved in creating an audio book. UPDATE: we’re now finished and you can find the finished audiobook here (US) and here (UK). And you can find out more about My Memories of a Future Life here. 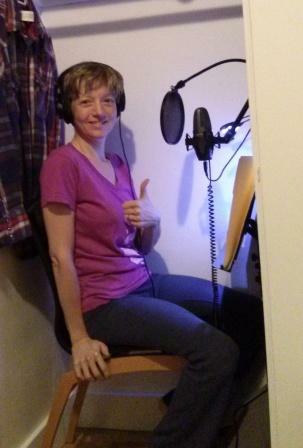 In the meantime, tell me: have you made an audiobook? Are you tempted to? Have you any tips to offer or questions to ask? Share in the comments! This entry was posted on April 13, 2014, 9:31 pm and is filed under self-publishing. You can follow any responses to this entry through RSS 2.0. You can leave a response, or trackback from your own site. Now if only they’ll open up to Canada. Thanks for the information! 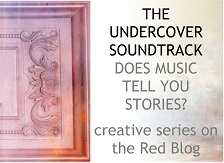 I’ve been looking into creating audiobooks of my trilogy, so your post is timely. A forum I visit just had a thread discussing this issue, so I posted a link to this article. Congrats on your new audio books. Brilliant article, Roz. A good guide for a beginner – thank you! Thanks, Alison! Good to meet you IRL last week! Thank you for all of the great information here. I did make my first audiobook recently and it was a breath-taking experience. I used ACX and I decided to do my own narration as it was a book of poetry _The Light Changes_ and I thought I’d be able to understand best how the poems were supposed to sound. I did find it much more challenging than I expected–Not to read the poems but to handle background noises and the microphone in general. It took practice but it was like discovering an entirely new art form. How rewarding to record your own poems, though. The poet’s voice is such an individual, singular thing, and worth preserving in the narration if possible. Good point, Kerry. It’s been a deeply unpopular move and will also make narrators who work for a royalty share more choosy about the projects they pick. Thanks, Helen! There’s more to come, which will shed light on why the narrator deserves a decent deal for the work. And another snippet of learning from experience! What a wonderful rundown! Thank you for sharing your experience with the process. It all has been something of a mystery to me (and I’ve directed voiceover for movie trailers)! Glad to have helped, Brian! I’ve been narrating my own meditation and hypnosis scripts for 5 years which I download for my clients. I’m very interested in narrating a book. I’m Australian and offer the Australian accent. I think I’ll look into this. Thankyou. Best of luck, PJ – and thanks for stopping by!